Summer is the perfect season to go to the beach, go to picnics, or to bask in the sun’s majestic rays. However, this is also the season where pests are increasing in number. Now, how can you prevent these pesky pests to reign in your household? Whether you are on a beach in Palawan or your beautiful home in Horizon Terraces in Tagaytay Highlands, here are some indoor plants that you can use to drive these pests away from your home. Basil is known for being delicious in salads and various food recipes with pork and chicken. Also, it is also used to improve the flavor of different vegetables such as tomatoes, peppers, and asparagus. 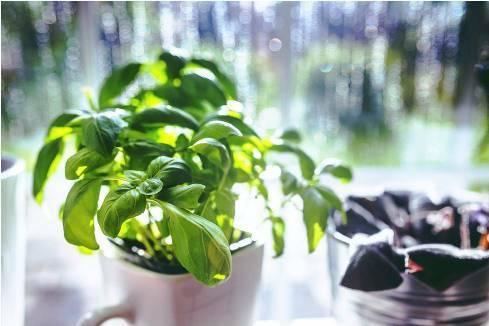 But did you know that basil is also an effective insect repellent? This is usually used to drive house flies and mosquitoes away - which makes it one of the indoor plants that you can use to keep pests away from your home. 1. Pour 4 ounces of boiling water to a container with the fresh basil leaves in it. Leave it for several hours. 2. Remove the leaves then squeeze the leaves’ moisture into the mixture. 3. Pour 4 ounces of vodka in the mixture. Refrigerate. 4. Spray in areas where insects such as flies and mosquitoes usually hide. Aside from being used as decor and as a fragrance to a particular place, lavenders are also used as a pest repellent. Its natural scent drives flies, mosquitoes, and other insects away. One effective way to use it to keep pests away is to place tied bouquets of it inside your home. You can also plant your lavender plant to ensure that pests will not lurk in your house - both indoor and outdoor. In addition, you can use its flower extract as a mosquito and fly repellent. Lemongrass, also known for its natural oil called citronella, is also an active pest repellent plant. This is an effective deterrent to flies and mosquitoes. Though it does not kill pests and insects, what it does is to deter them away and reduces its number. There are many citronella products that you can use to your homes such as candles and mosquito repellent sprays. The fragrance that the mint has is one of the things that makes this as a pest repellent plant. Plant mint in a pot or directly to the ground and place it in areas wherein you want these pesky pests to go away. You can also mix mint’s natural oil to apple cider vinegar or vodka to make an insect repellent spray. These are some of the pest repellent plants that you can get for your home. Not only will it make your household pest free, hence, will also make your house clean and fresh while ensuring your family’s overall health.